French toast casserole! 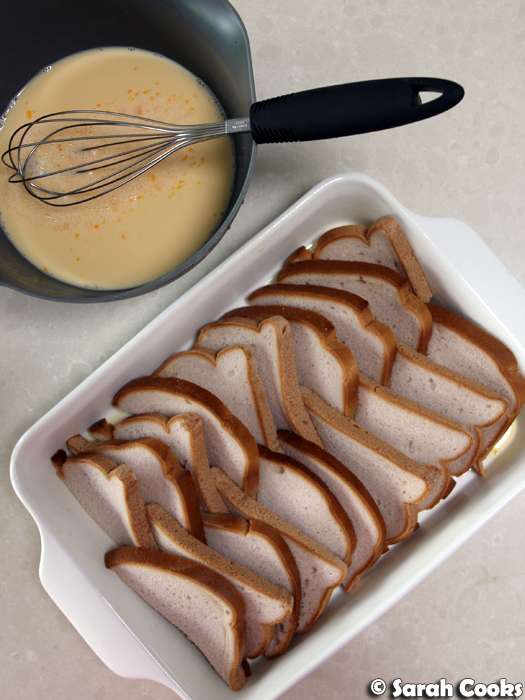 Bread slices are soaked in a vanilla-scented eggy custard, drizzled with cinnamon sugar and baked until golden. 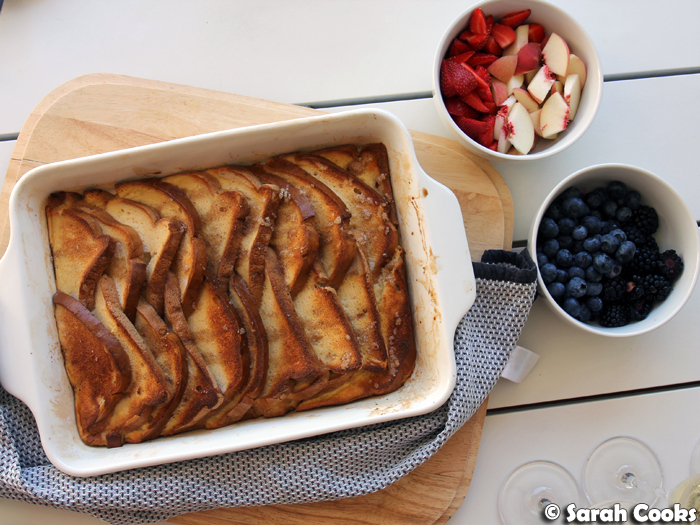 It's a super delicious and easy brunch for a crowd, and it's totally gluten free too! A few weeks ago, we had a weekend away in Mount Martha with a group of girlfriends. It was super-relaxing - we hired a house with a pool, we swam, we had BBQs at the house, I went to a fantastic local yoga class, we got massages, we drank mimosas and Aperol spritzes, and just had a really fun and chilled-out time! 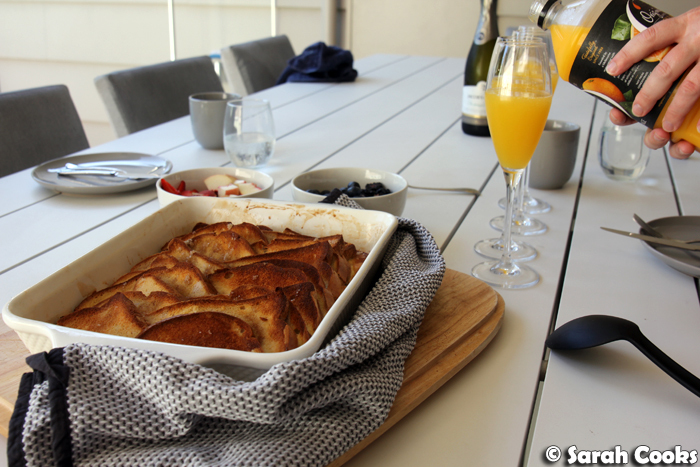 Sandra and I offered to cook for the weekend, and for our first morning there I decided to make French toast. I had initially thought of making my cornflake-crusted French toast, which is incredible, but crumbing and frying individual slices of bread seemed like a lot of work for a big group. (And the antitheses of the relaxed weekend we were all looking forward to!) 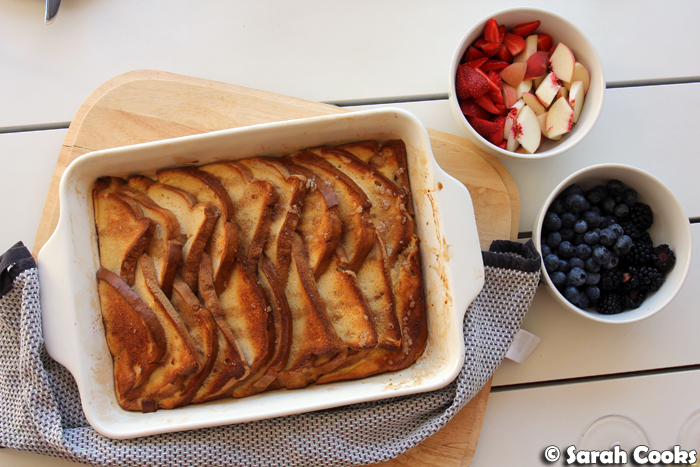 So... an oven-baked French toast casserole was the way to go! I constructed it similar to a bread and butter pudding, layering slices of bread in a buttered dish, and pouring a mixture of eggs, milk, maple syrup and vanilla over. It's only lightly sweetened, with one tablespoon of maple syrup to the whole batch. (I have no control over how much maple syrup you pour on your own portion, however, and I won't judge). I also used gluten free bread, as we had one coeliac in our group. I ended up using Helga's gluten free white loaf (not sponsored), because it looked the most similar to regular white bread. (I was standing at the supermarket for ages trying to pick between the different gluten free loaves, haha). I'm pleased to say it worked really well! Our coeliac loved it, and none of the rest of us wheat-eaters noticed a big difference. Of course, you don't need to make this with gluten free bread, and if you weren't making this for a coeliac, I'd suggest using a loaf of brioche or regular white bread. I left the bread out overnight to stale up a little, and in the morning I assembled the bread in the dish, whisked the custard mixture together and poured it over. For a little extra crunch and aroma, I drizzled a mixture of melted butter, cinnamon and raw sugar over the top before baking. It looked so inviting, and it smelled so wonderful coming out of the oven! I mean, cinnamon and vanilla, you couldn't get more comforting. It was crunchy on the top, and soft and squidgy underneath. I liked that it wasn't overly sweet - I mean, it is a sweet (as opposed to savoury) breakfast, but it's not a crazy dessert-for-breakfast dish that you might get at an Instagrammable cafe. Weekend away? Brunch party? You have friends or family visiting? Or you're just super hungry? Whip out the French Toast casserole! Doooo it! Butter the base and sides of a ceramic baking dish. 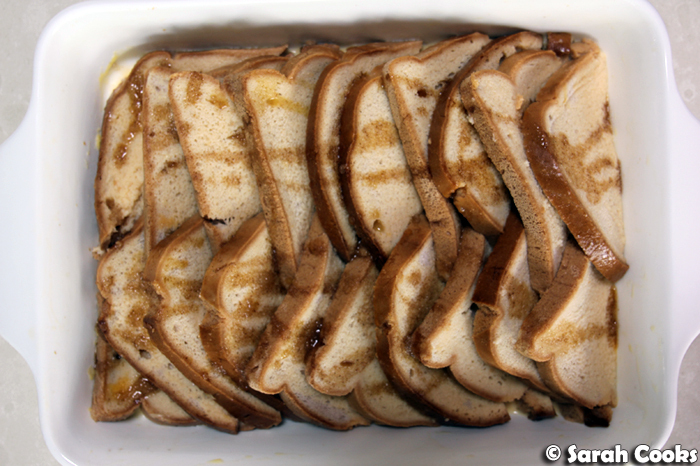 Cut bread slices into half diagonally and layer into the dish. Whisk together the eggs, milk, maple syrup and vanilla extract. 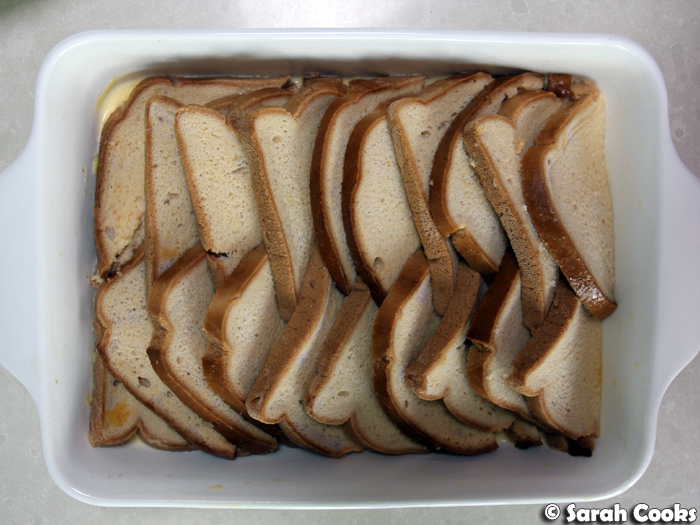 Pour over the slices of toast in the dish, making sure to soak all fo the bread. Melt the 1 tablespoon of butter and stir in the raw sugar and cinnamon. Drizzle this mixture over the bread. 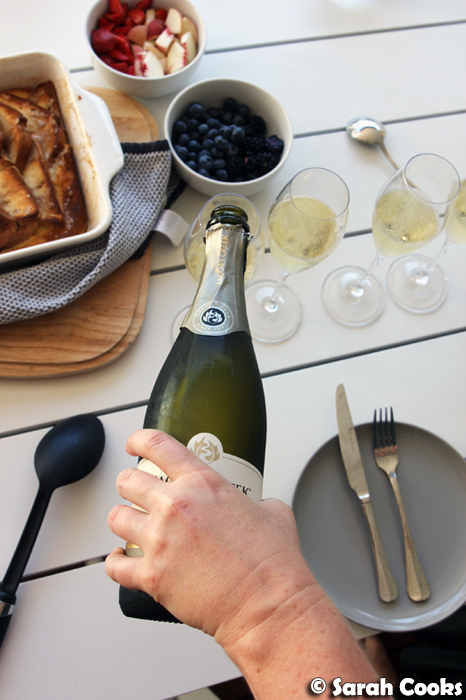 Serve with extra maple syrup and fruit. I think you made the right decision. Because I've been through that dipping and frying thing for family and that took ages!